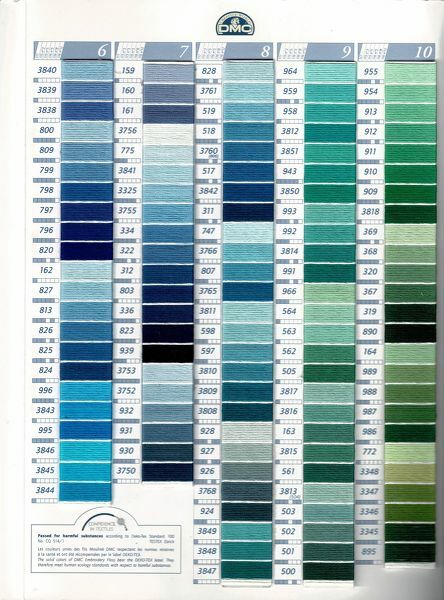 This Mouliné + Pearl Cotton colour card (including the 35 new shades) contains threads samples to help you visualise each shades of your embroidery thread prior to buying them. This is the ultimate tool for your craft, including samples of Mouliné Spécial, Light Effects, Colour Variations, Pearl Cotton and Metallic Thread. Showing one sheet - there are six in total which fold to A4, approximately 1.5 centimetres, 0.5 inch thick.